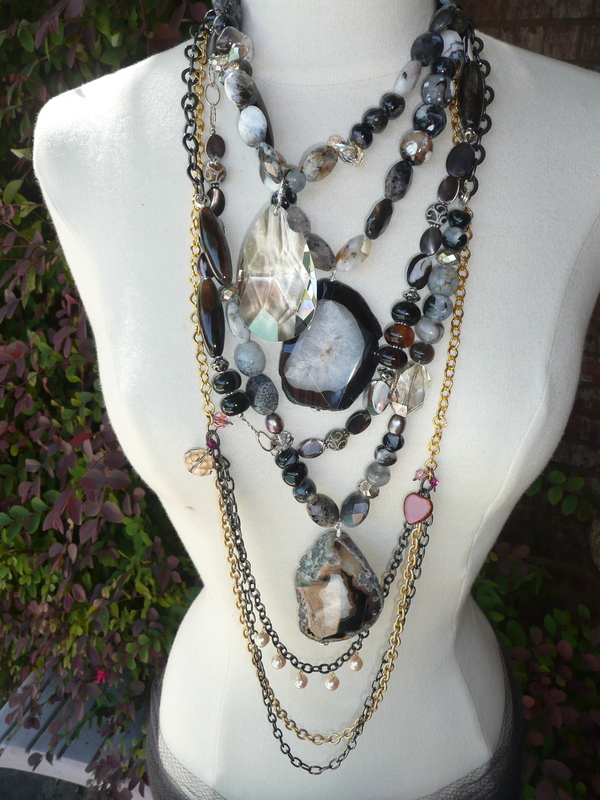 Preview Peek…Trunk Show in Fayetteville AR. 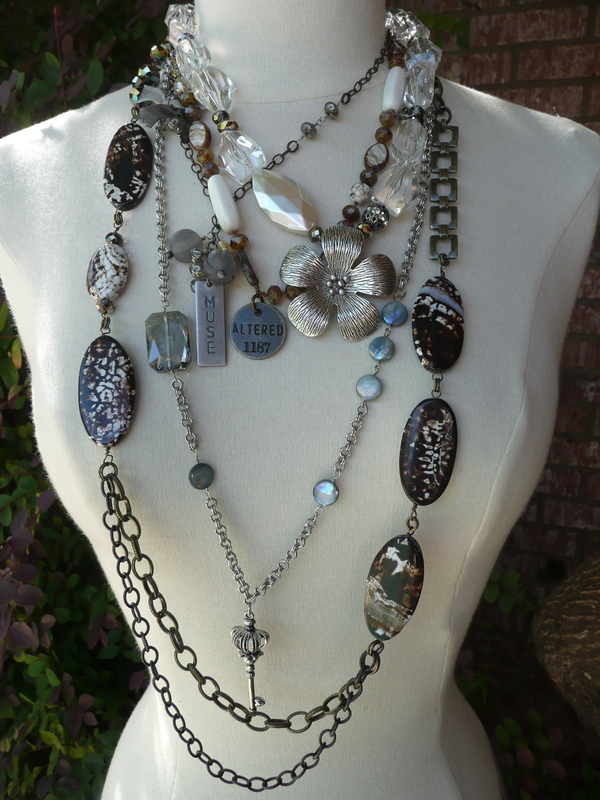 trunk show peek… Fayetteville AR…well it has been close to 2 years since my last trunk show in Fayetteville! I’m crazy busy designing some unique pieces just for this show. Here are 4 different necklaces to peek at…. long, short and medium lengths you will find it all! I love designing with a lot of texture to make a piece standout! Here are 6 one of a kinds some feature vintage lucite owl pendants …so you better give a hoot and get to this show if you want to own some fun jewelry. All things vintage mixed with a modern touches has been how I have designed for the last 13 years. Lots of vintage key pieces to choose from. Knotted leather mixed with chain and lots of color as shown in the 3 long necklaces in this photo. They just say fun and fabulous! if bigger than life is what you are looking for check out these agate statements….Get ready to shop girls because we are going to have some fun, I will show you how to mix it up, layer it up and when you see all the bracelets I will be bringing stack it up! So stay tuned for more peeks next week and I will see you soon! 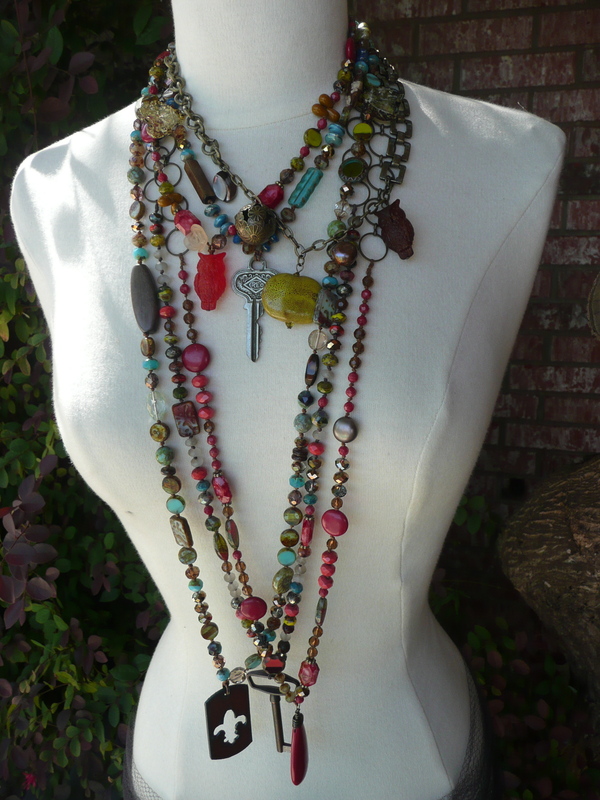 This entry was posted in Events & Shows, Jewelry Finds, Where To Buy and tagged agate statement, Fayetteville AR., fun and fabulous jewelry, knotted leather necklaces, Michele Busch Jewelry, mixed metal, trunk show, vintage lucite owl pendants. Bookmark the permalink. 4 Responses to Preview Peek…Trunk Show in Fayetteville AR. Thank you Victoria! And remember this is just a tiny peek…I have so much more and I will post a couple more peeks!